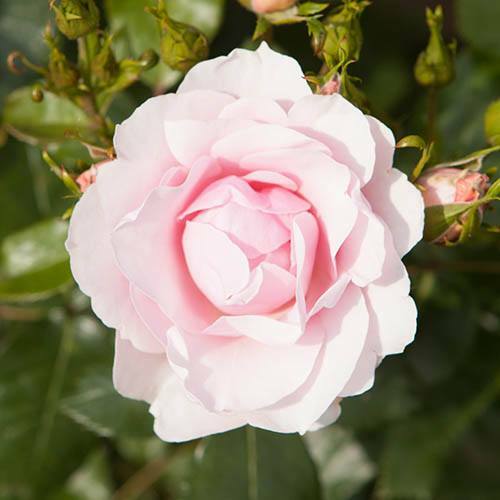 Add a romantic touch to your garden this year with this premium, scented rose bush. Beautiful, old-fashioned style, ruffled centred classic roses which are much easier to grow and care for in all gardens than other varieties. Ideal for both beds and borders or in pots and containers, grow to the size you require. This variety has been bred for both good fragrance and disease resistance - not always possible with roses! Hardy, vigorous and repeat-flowering for at least 4-5 months of colour. Supplied as a bare root plant, trimmed back to 30-35cm, dormant without leaves, to plant November to April. There really is something special and iconic about English Shrub Roses, which is the term for the old-fashioned type of classic rose with a very filled centre, their petals making the most remarkable patterns. New breeding over many years has made them much easier to grow in all gardens - big or small - either in larger pots or in borders and beds. This variety has been bred to have both a good fragrance, and superb disease resistance - not always possible with roses, but our growers have managed it! Best of all it is a repeat flowerer, and will bloom for 4-5 months with little dead-heading, although you may wish to keep them tidy. It’s a little more vigorous and less formal than Hybrid Tea Roses, so mix them in with other shrubs in borders too. Supplied as 1 bare root plant, trimmed back to 30-35cm, dormant without leaves, to plant November to April.